Father we are here on earth to be your people, and to show others that you came to be their friend. Help us to make an eternal difference in someone’s life today. To Christians, March will be an important and exciting month, especially because we celebrate Easter and the Risen Savior. SunBird Community Church will have special services on Palm Sunday, March 20, Maundy Thursday Eve. On Easter, the 27th, the vibrant Minister Jim Baugh will conduct the 9:00 a.m. service. There will be special music by Rev. Baugh and the church choir. Barbecue for SunBird residents and it’s free! 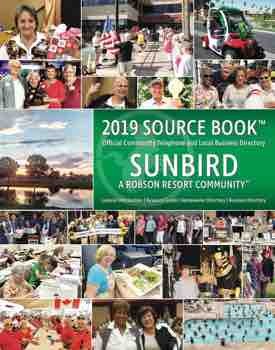 SunBird Community Church will be holding its annual Barbecue for our residents on March 6 on the patio and in the Ballroom; starting time is 5:00 p.m. Hamburgers, salads, beans, dessert and drinks are yours at no cost. Last year 445 residents were fed. Come have a meal on us! The SunBird Community Church is made up of believers gathered together to worship our Lord and Savior, Jesus Christ, through preaching, teaching, music, fellowship and service. We invite you to visit us any Sunday at 9:00 a.m. in the SunBird Ballroom. There you will meet friendly folks and be treated to an excellent non-denominational service. Can the Lord count on your attendance?